Help protect the interior of your vehicle with the hard-working functionality of these Premium All Weather Second-Row Floor Mats in Ebony. 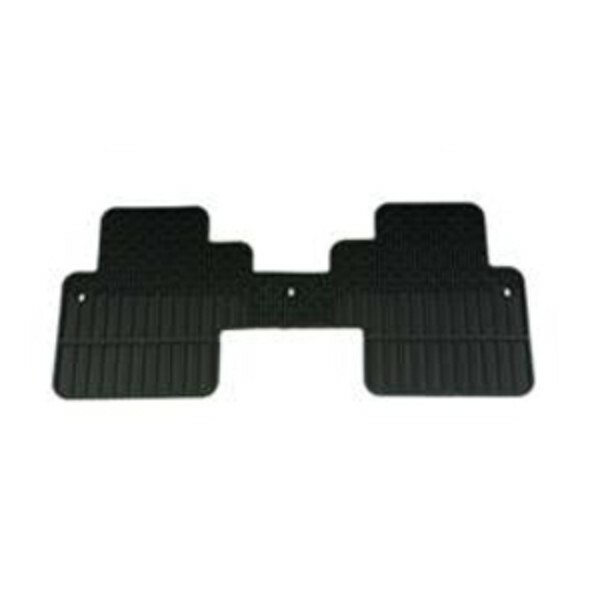 These precision-designed mats fit the floor of your vehicle exactly and feature nibs on the back to help keep them in place. The deep-ribbed pattern collects rain, mud, snow and other debris for easy cleaning. For vehicles equipped with second-row captain's chairs.. This product replaces 19242643. Notes: 2nd Row Captains Charis.